Looking to upgrade your bedroom? Go with the brand who's committed to providing only the most affordable and quality-tested products, Silentnight. Everyone deserves a comfortable and refreshing sleep and Silentnight knows exactly this. With over 70 years in the field, they are certainly pros in what they do. 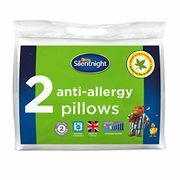 Find the cheapest price on Silentnight pillows, duvets, mattresses, air purifier and blankets and save as much as 60% off the original price when you use voucher codes from Robert Dyas, Wilko, Groupon, Very, BHS and B&M. 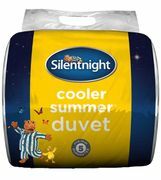 These Silentnight deals and special offers will certainly help you with the savings you need. You will surely agree that surviving or functioning well throughout the day will not be possible without a good night’s rest and sleep. There are people out there who suffer from insomnia because of a great number of reasons, one of which is stress. In order to address this, the bed they sleep in is vital. Good thing, there is the advancement of technology today. Now, most mattresses can reduce pressure points in the body and that is what Silentnight memory foam is popular for. Silentnight memory foam mattresses, alongside with its other products, come in various designs that offer their own advantages and benefits. However, the main purpose stays true to all of its items – to provide you the best support and cushioning so that you can have a real good night’s sleep. Make sure to read Silentnight mattress reviews to ensure you will get the best one that will suit not just your budget but sleeping needs as well. Tom and Joan Clarke established Silentnight in the year 1946. Since then, the brand became popular in supplying the British public with reliable mattresses and beddings. Afterwards, it moved to a way larger site and that took off in just a span of two years. This family business has really gone a mile the moment it was founded. The company, in the year 1961, moved to its present site which expands from time to time. There really is no stopping it. Despite being based in Barnoldswick, Lancashire now, Silentnight is still the largest leading bed manufacturer in the UK. As a matter of fact, it sells a mattress for every 90 seconds. After its conception, the Silentnight Group produced over 40 million beds already against its competition. It is estimated that they can make around 1,800 beds each day. As a matter of fact, if all the beds this brand had sold in the last five years will be lined up, it would take the distance of Rome and back again. 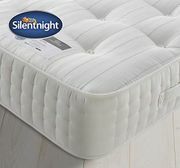 Where Can I Find Cheap Silentnight Deals? Here at Latest Deals, you will find discount codes, voucher codes, special offers, and sales available for various Silentnight products and items including mattresses, beds, king size mattress & more. Own the most affordable double mattress and mattress sale available online by taking advantage of the deals from your trusted UK retailers such as Amazon, ASDA, B&M, BHS, Dunelm, eBay, Mattress Online, Poundstretcher, Tesco, The Range & TK Maxx. Silentnight. The brand’s own website offers 20% off when you spend £700 and 10% off if you spend at least £350. They also have a clearance sale section where you can get mattresses starting at just £149. Amazon. Amazon Warehouse a great deals on their Silentnight selection. The retailer has different buying options where you can save up to 50% off on a wide array of pillows and mattresses. Amazon Prime members can also get additional exclusive discounts and free delivery. ASDA. George Asda has a wide array of Silentnight products from mattresses and bed sets to top divans and headboards at everyday prices. You can also read reviews and feedbacks about the items to help you with your purchase. Silentnight memory foam mattresses are known for their pain relief. If you are interested in this brand, here is the list of their most popular mattresses you can check based on comfort, durability, pain potential, heat retention, among others: 7-Zone Memory Foam. Made from foam, this product utilises the latest technologies that are responsible for its features. During the manufacturing, it is treated with probiotics. This is one of the reasons why the foam lasts long, while remaining fresh. With this unique process, you are guaranteed the utmost comfort.. It also provides a nice sleeping experience to those who want to feel secure. Moreover, this foam reduces pain so it is best for those with a back condition. 3-Zone Memory Foam Rolled. 3-Zone Memory Foam features the very same technology as the one above – only that it is created from a single layer of memory foam. For outstanding comfort, durability and freshness, the treatment of natural probiotics is required and this is used in the making of this mattress. This is a wise investment because you can actually use it for so many years. Mirapocket London. This memory foam has a twin layer 2100 Mirapocket advanced pocket spring system which is a combination of 750 intelligent-zoned Miracoil springs and as well as 1350 responsive pocket springs that are responsible for luxurious and ultimate support. 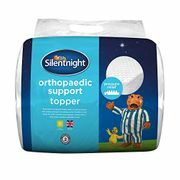 What is even better about this support is that it is meant to deal with targeted support zones – hips, shoulders and spinal alignment so that you can have a long night sleep without interruption. On top of this, it has a Purotex cover so it can keep all the dust mites at bay. This is when you can achieve a mattress free from mould. Bedding. The luxurious beddings of Silentnight come in a range of selection that showcase the benefits of indulgent materials. It does not matter whether you are in need of Egyptian cotton pillows or goose feather duvets, this can assist you in finding the right one for you. Headboards. Headboards may be the last among your concerns but you should not underestimate their effects on your bedroom. Pick from many styles and designs and make sure that you only get one which suits your taste. Consider the measurements too so that you are on the right track. Pet beds. Comfortable pet beds are ideal for your best bud. They are the answer to the right night sleep for them. Silentnight comes with a sea of sizes you can select from. It may be based on the breed and age of your pet and more. Heaters & Coolers. Before sleeping, you might want to obtain the right room temperature for you. This is a vital part of your space. Look at the electric heaters and coolers of Silentnight to know if there is one that suits your preference. Candles & Fragrances. Completing your relaxation becomes simpler with wax candles, room mist sprays and lavender and chamomile reed diffusers. Make these a part of your room so that a serene environment is achieved in your home.